안국사터에 세워져 있는 탑이다. 안국사는 창건된 해가 분명하지 않고, 다만 절 안에서 발견된 유물들을 통해 고려시대에 창건되었을 것으로 보고 있다. 이후 조선시대에 폐사되었던 것을, 1929년 승려 임용준이 주지가 되어 다시 일으켜 세웠으나 곧 다시 폐사되어 현재는 터만 남아있다. 절터에는 이 탑 외에도 당진 안국사지 석조여래삼존입상(보물 제100호)이 보존되어 있다. 탑은 아래부분인 기단부(基壇部)가 다른 탑들에 비해 간단하고, 2층 이상의 탑몸돌이 없어진 채 지붕돌만 포개져 있어 다소 엉성해 보인다. 탑신(塔身)은 유일하게 1층 몸돌만이 남아있는데, 각 귀퉁이에 기둥을 본떠 새기고 한 면에는 문짝 모양을, 다른 3면에는 여래좌상(如來坐像)을 도드라지게 새겨 놓았다. 각 층의 지붕돌은 크고 무거워 보이며, 처마 밑으로 깊숙히 들어가 4단의 지붕돌 밑면받침을 밖으로 보이고 있다. 전체적으로 균형감을 잃고 있고 조각도 형식적이며, 1층 몸돌이 작아서 마치 기단과 지붕돌 사이에 끼워져 있는 듯 하여 우수한 작품이라고는 할 수 없지만 고려 중기 석탑의 특징을 알 수 있는 중요한 탑이다. 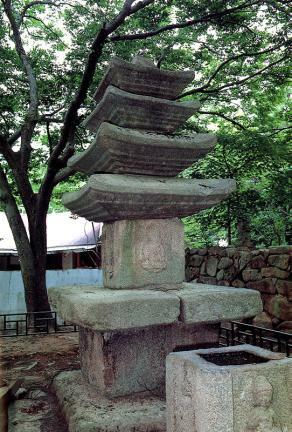 This stone pagoda located at the site of Anguksa Temple is believed to have been built during the Goryeo Dynasty, judging from the remains excavated from the site. 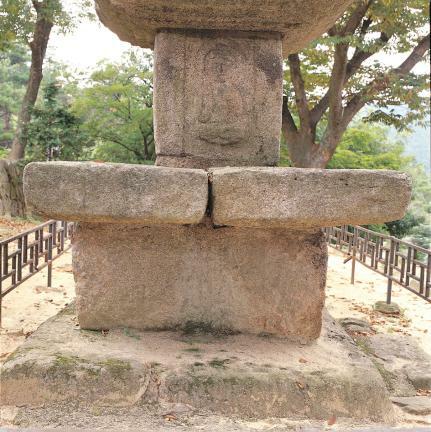 The temple, which was destroyed sometime during the Joseon Dynasty, was rebuilt by a monk named Im Yong-jun in 1929 when he became the temple’s head monk. 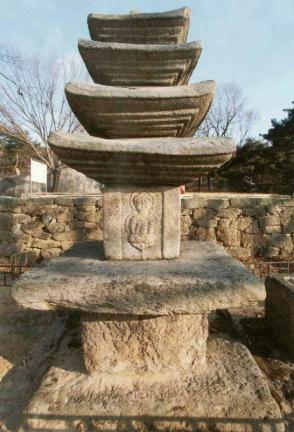 However, the temple was closed soon after and only the site remains now, along with this pagoda and the Stone Standing Buddha Triad (Treasure No. 100) standing beside it. 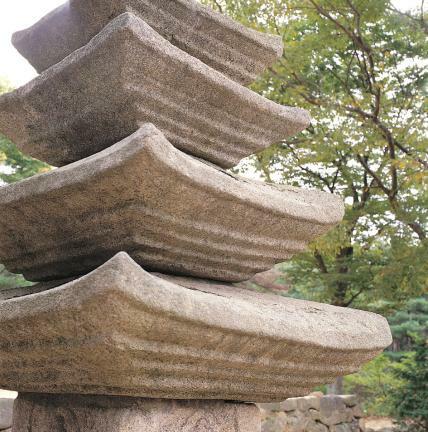 The pagoda’s stylobate is much simpler than that of an ordinary stone pagoda; as the core stones above the second stories are missing and only the roof stones are placed on top of each other, the overall appearance of the pagoda looks incomplete. 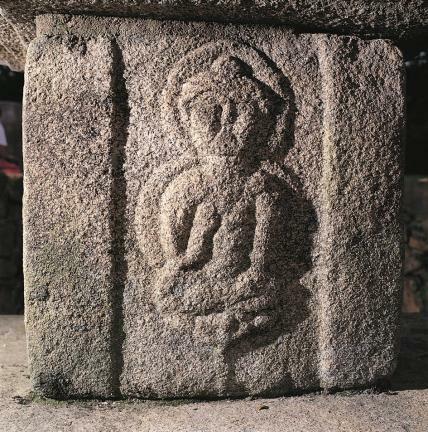 The four corners of the core stone of the first story are carved with pillar patterns along with a door pattern on one side and seated Buddha figures on the remaining three sides. 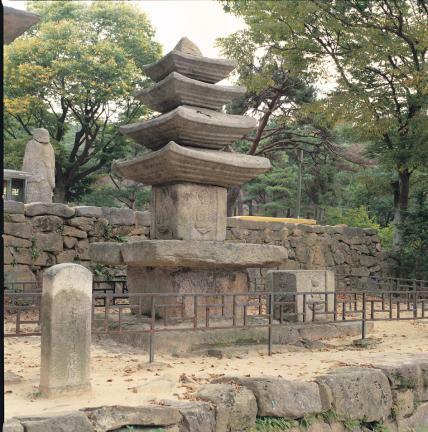 All of the roof stones have a four-tiered cornice and look rather heavy. 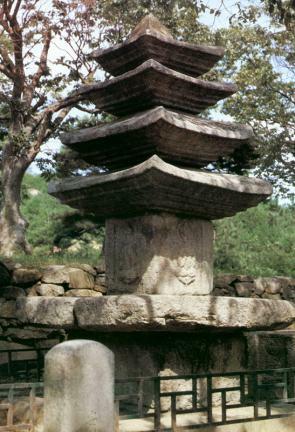 As the pagoda is somewhat limited in terms of its balance and the beauty of the carvings; and the core stone of its main body is disproportionately small, it is not considered a particularly good piece of work; however it is important in that it shows the characteristic features of stone pagodas of the mid-Goryeo Dynasty.